ABC News projects that Ted Cruz will win the Wisconsin Republican primary, based on analysis of the vote. 42 delegates are up for grabs in the Wisconsin Republican primary. Cruz, as the winner of the statewide vote, picks up 18 of the 42 delegates. The remaining 24 delegates will be split among the winners of each congressional district. Preliminary exit poll data show that six in 10 GOP primary voters overall are "excited" or "optimistic" about a Cruz presidency. 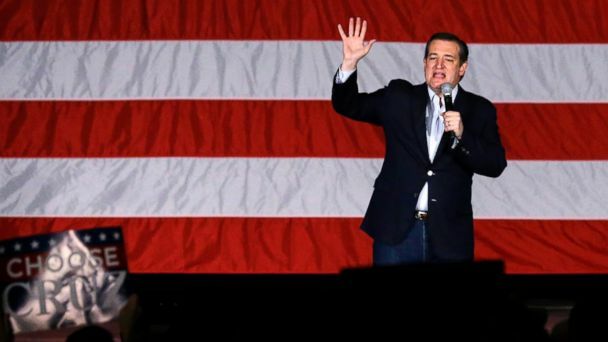 More than four in 10 Wisconsin voters believe Cruz has the best chance to beat Hillary Clinton, should she be the Democratic nominee, in a general election. The projected win for the Texas senator in the Badger State pushes the GOP closer to a contested convention in July. ABC News' Analysis Desk contributed to this report.